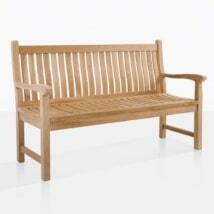 Integrate luxury, tranquility and sustainability into your great outdoors with the Monet Teak Bench! 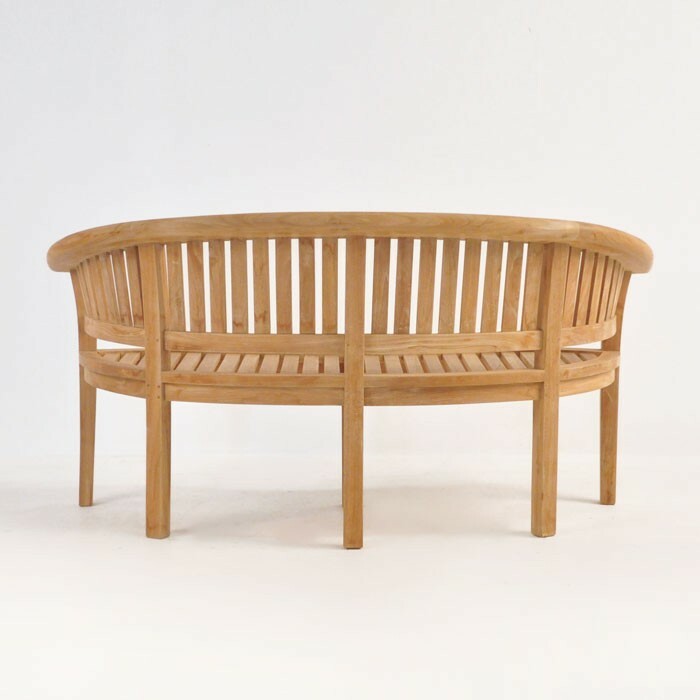 The Monet Teak Bench is part of the romantic, whimsical and heavy-duty Monet Collection, each piece integrating geometric lines with ergonomically rounded pieces for comfort. The Monet Teak Bench features a wonderful, gentle curve in the back and seat of the framework responding to its surroundings; making the Monet Teak Bench a must for any space! Our popular Monet Collection is constructed out of A-Grade Teak, meaning that it is the best quality of wood for outdoor furniture use! L65" x D28" x H34"
Mix and match with our many other products for exciting and interesting looks for your exterior. Try a blend of industrial Raw Concrete and A-Grade Teak, or bring in some of our #316 Marine Grade Stainless Steel into the mix. Wickers are popular and incredibly easy to maintain, why not accentuate your Monet Teak Bench with some Viro® wicker Accent Tables? Perhaps Reclaimed Teak intrigues you – tie it in as a coffee table. We have everything from wicker to resin to varieties of teak and mesh fabrics. AND we ship nationwide, simply inquire online or call us today and we can provide you with a quote for your furniture and white glove delivery! As well as the stunning Monet Teak Bench, we also carry a matching Monet Chair and Coffee Table. Set up the Monet Collection in your backyard or patio for a charming, resplendent look! Have a small patio where you need a crucial piece of seating to take in your surroundings? Use the Monet Teak Bench as your centerpiece, framed by your favorite potted plant or tree in one of our Raw Concrete Planters, place a Monet Chair on either side and your table in the middle and voila! You have an open, welcoming setting, superbly suited for casual drinks and hor d’oeuvres! And without the huge impact on your space! 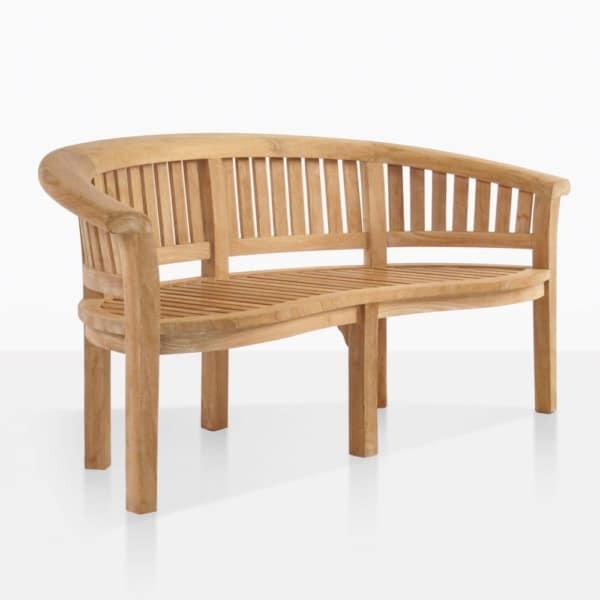 Place the Monet Teak Bench as a central feature in your garden, a wonderful and comfortable place to watch the world go by and enjoy the tranquility of your surroundings. 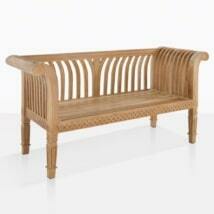 We also think the Monet Teak Bench is a very cool choice for your entrance-way! Stain it a rich chocolate or walnut color and enjoy as it becomes a wonderful meeting point in your home; ideal for guests and family to set down bags, coats and shoes as they enter your house. What a ritual! 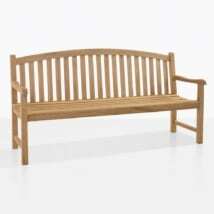 The Monet Teak Bench is made from robust A-Grade Teak, sustainably grown to be made into the most beautiful, durable and long lasting furniture! There is a reason why it is our signature product! 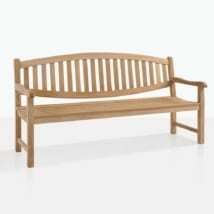 The Monet Teak Bench is a blissfully attractive and hardy piece from Teak Warehouse. Input this glorious piece into your home.